In just the first three months of 2016, reported attacks have increased tenfold over all of 2015, when the FBI received about 2,500 Ransomware complaints about incidents that cost victims $24 million. And the $209 million paid to cyber crooks from January to March is likely only a fraction of actual losses, as experts say the majority of attacks go unreported. Meanwhile, cyber security sleuths report that new strains and variants are being developed (typically by cyber crooks in Eastern Europe), some specifically to elude security software. 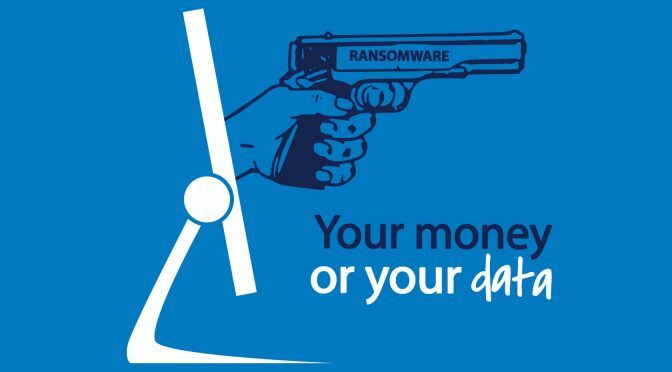 Ransomware infects computers when people click on a malicious link or attachment. In recent weeks, schemes have included mass-sent emails that claim “Your package has been successfully delivered” (the infected link promises details of “the proof of delivery”) and, to coincide with the new season of Game of Thrones, a scam targeting eager-to-watch fans at a popular file-sharing piracy website. This type of malware then locks computers, usually displaying a notification that its contents have been encrypted and are being held hostage until a ransom is paid. Victims who pay the ransom usually receive an emailed “decryption key” that unlocks the system and releases the files. If the cyber crooks are not paid within a short period — a nerve-wracking countdown clock is included — they threaten to, and usually do, delete the files.